For April I'm setting myself a little challenge to spend at least 30 minutes a day decluttering, I'm calling this my '30 minute purge' I'm hoping that once I start I will probably continue after the 30 minutes. 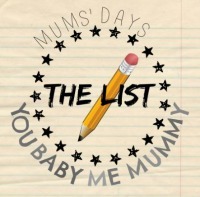 I've created this little prompt list for myself so I have a guide as to areas around the house which need doing, some it will just make a start and others will easily be cleared in 30 minutes, I'm sure that most people have these areas in their house and although they might not be as bad as ours! I won't necessarily be doing them in order I'll just see how I go, this is just a guide. 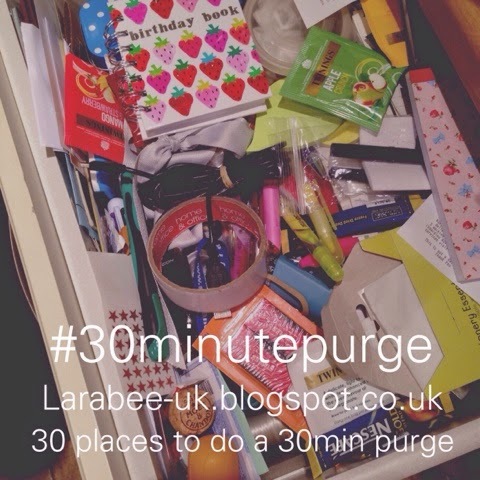 I'll be posting on Instagram, Twitter and Facebook using the hashtag #30minutepurge if you'd like to join in I'd love to see how you get on. I'll be using flipgram to show before, during and after photos in one post a day. If you can think of any other areas, I'd love you to leave a comment so I can add them on.